The Broke and the Bookish : Paula has the best book weekend! Paula has the best book weekend! Alrighty folks. I just wanted to share how fantastic this weekend was. It was the Wake County Library sale... now I've gone to library sales before... and I always enjoyed how fun they were and how they helped support local libraries. Both the Durham and Wilmington sales boast about 10,000-20,000 books. Not the Wake County sale... this bad boy had over 450,000 books. WHAT? how many books is that? How about enough to fill an entire expo building at the NC State Fairgrounds. This thing was a beast. Needless to say I've been looking forward to this sale for a long time. Since last November to be accurate. I put myself on a book buying ban for all of 2012 in order to have room on my shelves for it. Over the course of its 4 days, I went 3 times. 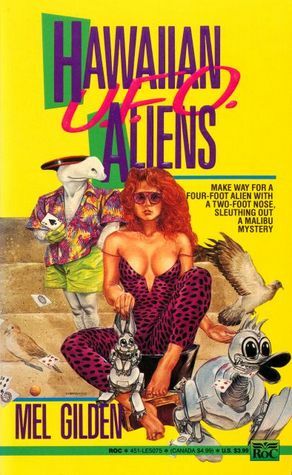 Which proceeded to make me giggle about how pulpy and ridiculous they were (Enjoy). The second day I went with one of my friends from out of town. We managed to spend a good 3 hours wandering up and down the rows and I purchased 8 books (for a total of $16). Today was the last day and was a massive free for all. At $2 a bag or $5 a box it was absolute mayhem. The selection was pretty slim, but I managed to find quite a few classics that I thought I could provide with a home (since any books that weren't sold are shredded... I couldn't let these books be doomed). So now my bookshelf is overflowing with books and I think I'm going to have to put myself on another book buying ban. But it was well worth it! How about you all? Have you hit any book sales yet this year? Or have you gone to any other fun book related events? Tells us all about it! Sounds like a delightful book sale! 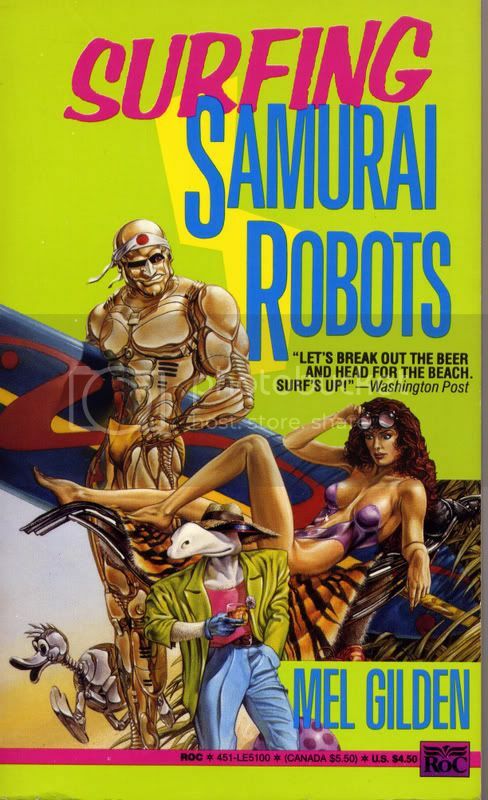 Surfing Samurai Robots and Hawaiian UFO Aliens are hilarious too (perhaps a future TTT should be book covers/titles that make you giggle?) I haven't been to any great sales lately but there are a few I hope to hit this summer!